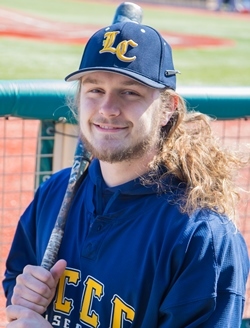 April 3, 2019 – – The Lorain County Community College Men’s Baseball team had a tough road-trip to PA over the last two days, as they lost to CCAC South, a team they beat twice earlier this season, then fell just short in competitive games against CCAC Boyce. LCCC was out hit in game one against CCAC South, losing by a score of 24-11. Damion Coleman (Niles/Niles McKinley), had a good day at the plate for the Commodores, going 3 for 4 with 3 RBI’s; while Jared Naida (Cleveland/Lakewood), also provided some offense going 2 for 3 with 3 RBI’s in the loss. The Commodores fell in game two 10-0, with 8 of the runs coming in the 3rd inning. 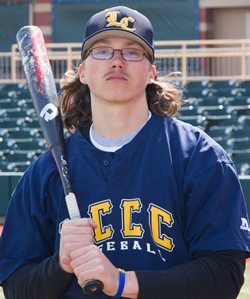 LCCC had 4 fielding errors and only mustered 5 hits in the game, with Jesse Barrios (Wooster/Home School), accounting for 3 of the hits. 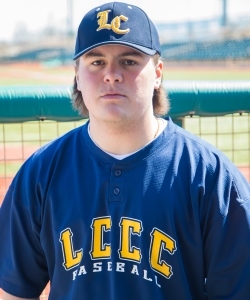 Lorain had an early 4-0 lead against CCAC Boyce and Jared Naida (Cleveland/Lakewood) only allowed 1 earned run through 5 innings with 7 strikeouts, but 6 fielding errors were too much to overcome as the Commodores lost 11-5. The score was 7-5 going into the 6th when CCAC Boyce added 4 more runs putting game one out of reach. Damion Coleman went 2 for 4 in the game with an RBI. 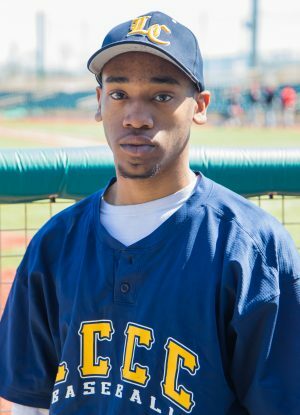 D’aunte Bowens (Oberlin), was on the mound for the Commodores in game 2 and pitched very well, notching 6 strikeouts, but LCCC couldn’t score enough runs to give him the win. 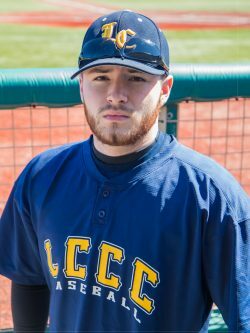 Jesse Barrios was 2 for 3 in the game and drove in the only run in the 1st inning before LCCC lost by a final score of 4-1. “These were some tough games this week. 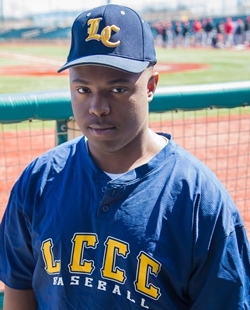 We saw some good pitching and just made too many mistakes to bring home a victory,” said LCCC Head Coach Bill Frawley. The Commodores host CCAC Boyce for a back-to-back matchup this Saturday, April 6, 2019, at Victory Park in North Ridgeville with first pitch in the double-header scheduled for 1 p.m.
March 27, 2019 – – The Lorain County Community College Men’s Baseball team battled hard against Region XII Division III rival, Owens Community College, but lost both ends of the double-header, by scores of 6-4 and 5-0, today at Sprenger Stadium. LCCC made a great effort to come back in game one after Owens got out to a quick 2-0 lead in the bottom of the first. The Express loaded the bases off Freshman starting pitcher, Luis Alvarez (Lorain), as he struggled with his control…hitting two of the batters he faced and walking a third. Casey Ison (Amherst/Amherst Steele) came in to retire the next three batters, limiting the damage to two runs and pitched the remaining seven innings, allowing just three earned runs. 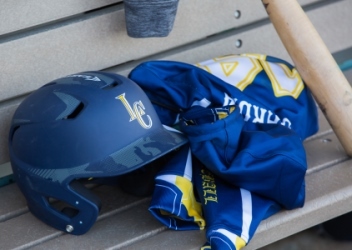 LCCC’s bats came to life in the bottom of the fifth as they scored all four of their runs to get back into contention but could not continue the momentum into the final two innings of play. Eli Loveland (Toledo/Whitmer), Damion Coleman (Niles/Niles McKinley), and Derek Dulemba (Elyria/Midview), all had two hits for the Commodores in the 6-4 loss. Despite the 5-0 loss in game two, it proved to be an incredible pitcher’s duel right up until the top of the 7th, as Jared Naida (Cleveland/Lakewood) brought the goods. Naida pitched a complete game, striking out 9 batters and allowing only 1 earned run. Owens scored a run in the 2nd inning, but Naida made quick work of the Express hitters over the next four innings before Owens was able to tag on four more runs off fielding errors. The Commodores are now 6-5 on the season and will host CCAC South (PA) this Saturday, March 30, 2019, at Oberlin College. First pitch of the double-bill is scheduled for 1 pm. March 23, 2019 – – The Lorain County Community College Men’s Baseball team took both games today in a double-header against Washtenaw Community College at Sprenger Stadium. Both games went five innings with LCCC taking the first game 20-4 and the finale 17-3. Casey Ison (Amherst/Amherst Steele) pitched a complete game for the Commodores to lead them to a 20-4 win over the Washtenaw CC Wolfpack. Ison struck out 7, while several players contributed multiple hits. Jesse Barrios (Wooster/Home School) was 4 for 4 with a double and 2 RBI’s; Noah Henderson (Toledo/Whitmer) was 2 for 4 with 3 RBI’s and a double. Eli Loveland (Toledo/Whitmer) was 2 for 3; Damion Coleman (Niles/Niles McKinley) was 2 for 2; and leading the game one offensive blast was Jared Naida (Cleveland/Lakewood) going 3 for 4 with a grand slam and 6 RBI’s. Michael Murphy (Akron/Revere) got the win in game two, pitching a complete game and only allowing 1 earned run, while striking out 3 batters. Barrios was perfect again, going 3 for 3 with a double. Henderson was 2 for 3; Loveland was 2 for 4 with 3 RBI’s; Derek Dulemba (Elyria/Midview) was 2 for 2 with a double and 2 RBI’s; while Anthony Lavisky (Avon Lake/St. Edward) was 2 for 2 with a triple. “The players hit the ball very well today and that translated into a bunch of runs,” stated LCCC Head Coach Bill Frawley. The Commodores are back home at Sprenger Stadium in Avon on Wednesday, March 27, 2019, to take on Owens Community College with a 2 pm start time. March 22, 2019 – – Domenic Fleming (Columbia Station/Midview) and Jared Naida (Cleveland/Lakewood) pitched complete games to lead the Lorain County Community College Baseball team to two wins today against visiting Butler County CC. Both pitchers fared well despite the frigid temps coming off the coast of Lake Erie, which were better suited for a Cleveland Brown’s playoff game. Fleming, the game one winner, gave up just 2 earned runs and struck out 3 in the 9-3 victory. BC3 jumped out to an early 2-0 lead in the first inning, but LCCC answered with two runs of their own in the bottom of the inning. Fleming settled in and the Commodores went to work at the plate. 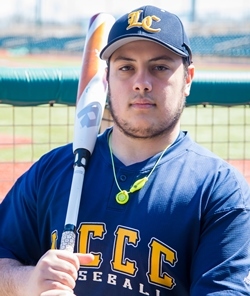 Jesse Barrios (Wooster/Home School) smacked a 2-run homer to get the scoring started for LCCC and finished the game going 2 for 2 with 3 runs scored and 2 RBI’s. Noah Henderson (Toledo/Whitmer) was 2 for 3 with 2 runs scored; Damion Coleman (Niles/Niles McKinley) was 2 for 4 with 3 RBI’s and a homerun; Eli Loveland (Toledo/Whitmer) was 3 for 4 with a solo bomb; and Derek Dulemba (Elyria/Midview) was 2 for 3 with 2 RBI’s. Naida struck out 6 and gave up no earned runs, leading the Commodores to a 12-2, 5-inning victory in game two of the double bill. Once again the Pioneers got on the board early going up 1-0 in the first, but LCCC scored 2 in the bottom of the inning and never looked back. LCCC scored in every inning and put 5 on the board in the bottom of the fifth to seal the victory. Henderson went 3 for 4 with 2 doubles and 2 RBI’s; while Loveland sent another one deep…going 2 for 4 with 2 RBI’s. Coleman went 2 of 4 with 2 RBI’s and George Vasiloff (Avon Lake) went 2 for 2 with a double. The Commodores go to 4-3 on the season. Next up for the Commodores is Washtenaw CC at Sprenger Stadium in Avon on Saturday, March 23, 2019. First pitch is scheduled for 1 pm in the double-header. 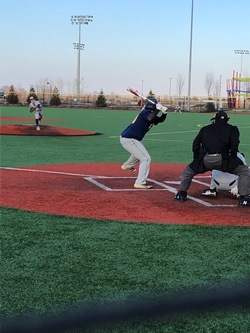 March 18, 2019 – – The Lorain County Community College Men’s Baseball team dropped both games today in a doubleheader against Schoolcraft College, after giving up early leads to the team from up North. The Ocelots took game one 18-9 and game two 9-3. The losses drop LCCC to 2-3 on the year. Michael Murphy (Akron/Revere) took the first game loss for the Commodores, as the Ocelots put up 6 first inning runs and added 3 more over the next two innings to take a 9-0 lead heading into the fourth. LCCC made a pitching change, but Schoolcraft put 6 more runs on the board in the top of the fourth for a 15-0 lead. LCCC rallied in the next two innings scoring 9 runs, while Justin Ciccone (Youngstown/Western Reserve) pitched two shutout innings to keep the Commodores alive in the game heading into the final inning of play. The Ocelots banged in 3 more runs in the seventh and put the game out of reach for the Commodores. Game two got off to a similar start as Schoolcraft again grabbed the early lead off of a 3-run first inning and the Ocelots never looked back. Casey Ison (Amherst/Amherst Steele) was on the mound for the Commodores and took the loss. Schoolcraft was up 8-0 before LCCC drove in a run in the bottom of the fifth but they were unable to manage any more offense until the bottom of the seventh…tagging on two final runs. Noah Henderson (Toledo/Whitmer) led the team today with 3 RBI’s on the day going 4 of 8 from the plate with two doubles, while Eli Loveland (Toledo/Whitmer) went 6 of 7 with 2 RBI’s and a double. The Commodores host Butler County CC (PA) for a double-header at Sports Force Park, this Friday, March 22, 2019. First pitch is scheduled for 2 pm.